Your business is complex. And although Big data promises to manage this complexity, the technology services that run your business are also complex. 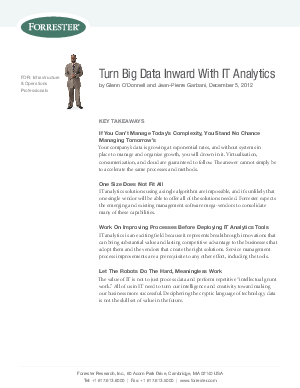 It is possible to combat this onslaught with IT analytics. Read this report to learn how IT analytics that turns big data efforts inward can effectively manage the technology services that run your business.